Have you ever been in a car or SUV that in which the floor mats are stained with dirt, oil, soda, food, etc.? If so, then you know how unsightly stained floors in a car can be and how cleaning them can be a giant hassle. Floor mats and cargo liners can save your carpet from those ugly spills you typically get from hauling things around in your car, such as groceries, muddy soccer shoes, camping gear or even oily car parts. 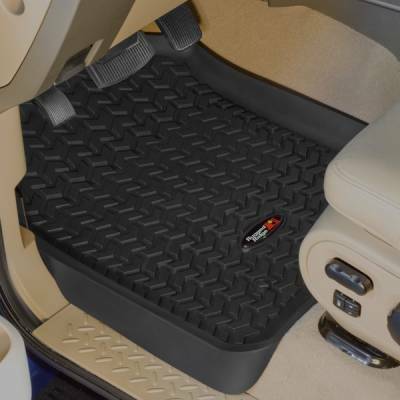 Get some stylish floor mats or cargo liners today, and save your carpet from all those unsightly stains. If you use a truck to haul your belongings around, invest in one of our truck bed caps so that you can keep your truck bed looking new and undamaged.